Starting today, Sphinx is excited to be celebrating International Arts Education Week! 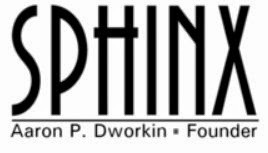 In honor of recognizing the importance of arts education, Sphinx has set a goal of raising $5,000 in online donations throughout the week to support our music education programs. The arts are a vital component of education. Low socioeconomic status students with arts experience are 5 times more likely to graduate high school and 3 times more likely to obtain a Bachelor's degree than students who lack arts experience. Through programs such as Sphinx Overture and Sphinx Performance Academy, Sphinx aims to transform the lives of as many young people as possible by providing them with arts-rich experiences at no cost. These programs would be impossible without the enthusiastic support of our patrons. Your support can have a tremendous impact! Donate today and help us reach our $5,000 goal!